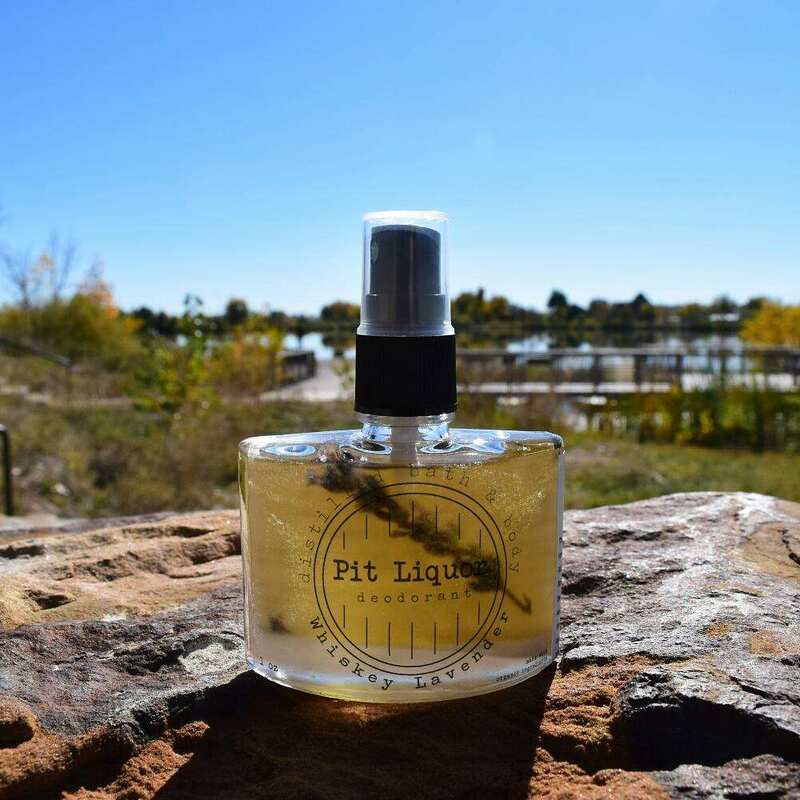 PitLiquor is a Loveland-made all-natural deodorant that uses whiskey and natural scents. LOVELAND — A married couple has launched a Kickstarter for a business that doesn’t stink. PitLiquor is the brainchild of Jason and Erica Feucht, owners of Distilled Bath & Body. The company makes all-organic spray deodorant using whiskey and essential oils. The company is looking to raise $12,000 through its Kickstarter, which launched Oct. 24 and will go for 29 days. PitLiquor started when Erica was pregnant, and Jason requested that she stop using chemical-based deodorant. The two already had experience making their own products, such as kombucha, at home, and had used natural deodorant before. But Feucht said she didn’t feel like the natural deodorants she had been using worked as well as chemical-laden brands. For that day, she resorted to using hand sanitizer. Now, with a 10-month-old daughter, the two are launching three whiskey-based scents: lavender, vanilla and black pepper. Ingredients are all natural, and many are local. (Although the company isn’t able to buy local for their liquor, Feucht said it’s in the plans when the company grows.) In addition to the alcohol and scented ingredients, PitLiquor uses arrowroot, an antimicrobial powder that keeps you drier longer, and salt, to denature the deodorant and make it something people wouldn’t mistakenly drink. A one-ounce container is $8, and 3.4 ounces is $12. The scent diffuses so that the person wearing the deodorant doesn’t smell like alcohol, but Feucht said the company plans to add a Vodka-based line, which retains the smell of liquor even less than the whiskey. The $12,000 goal is designed to help them launch their business with enough built-in profit margin that they can can have some surplus volume of product to sell. As the company grows, Feucht said they plan to continue to make the deodorant using all-natural products.